Abstract: M3 wireless remote control skateboards has been rolled out recently. Its design concept is cooler, safer and stronger. As Airwheel technology continues to make progress in developing new products, Airwheel has rolled out a brand new product: M3 wireless remote control skateboards based on the prototype of ordinary skateboards. There's a little tip about applying the decal to the board. Users can use Windex and a credit card to prevent creases and dissolve bubbles, through which M3 electric skateboard looks sleek and smooth in the surface. Moreover, it definitely turns cooler decked with decals. Airwheel M3 skateboard continues to employ the sturdy tires from a famous brand Cheng Shin Tire. 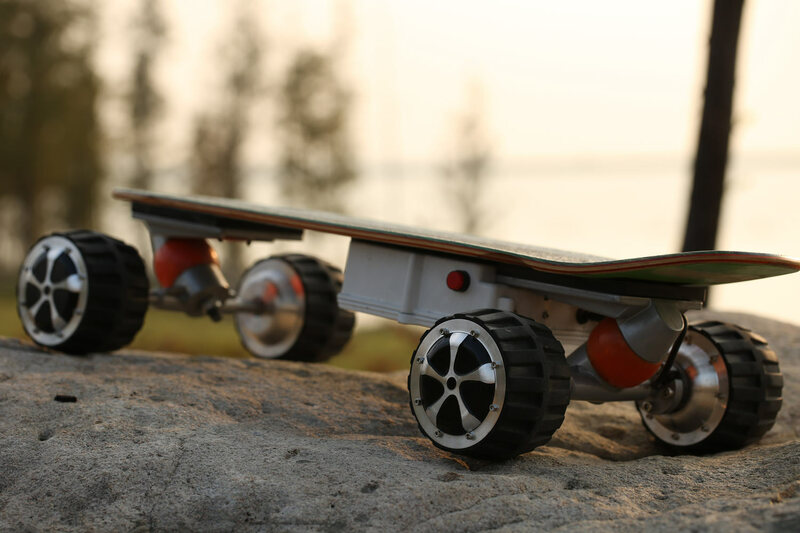 The high-end customized 4.5-inch tires are with wider tread than that of traditional skateboards. The tread with grooved patterns performs well when users run into bad weather and uneven roads. Its weight limit is 100kg, although it seems to be a toy. So for those slightly plump users, there's no need to worry about its loading capacity. Under the board, the PU material damper mass with high elasticity and shock absorption is there to reduce the bumping. What's more, M3 is fitted with a hand-controlled remote control which can control speed to speed up or slow down within effective distance 10 meters only users correctly press the buttons on the remote control. Therefore, M3 electric skateboard is stronger in the performance. Although fun and trills is the pursuit for most skateboarders, safety is particularly important. The control chip of M3 motorized skateboard installed in the internal part of bodywork can collect data from the system and then transmit to the user's phone via an exclusive App. Riders can know well about status of M3 which is running in order to make correct operation. It's a sort of guarantee in safety. Plus, the double circuits and double main control chips make M3 safer. Previous：In 2015 EICMA, three latest products presentation of Airwheel—Z3, M3 and S6 arise widely interest.